viaLibri ~ Spin Crossover in Transition Metal Compounds Volume I, Volume II and Volume III. (= Topics in Current Chemistry, Volumes 233, 234 + 235). Gütlich, P. and H.A. Goodwin (Editors). 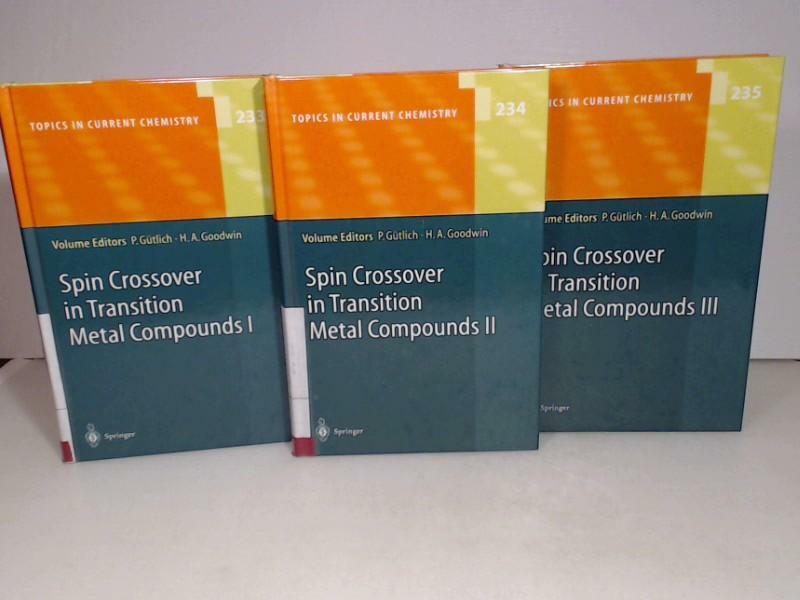 Spin Crossover in Transition Metal Compounds Volume I, Volume II and Volume III. (= Topics in Current Chemistry, Volumes 233, 234 + 235).